Looking for more tips on using Paris transportation? Don’t forget to get our 2019 INSIDR Paris Transportation Free Travel Guide! Paris, although not that big of a city, can seem overwhelming on a first visit, especially with the many metro lines. This article explains everything you need to know about Paris’ public transport fees, and how to use transportation in Paris. Learn how to take the bus in Paris, take the bike, take the metro in Paris, and even how to buy a Paris Navigo pass. 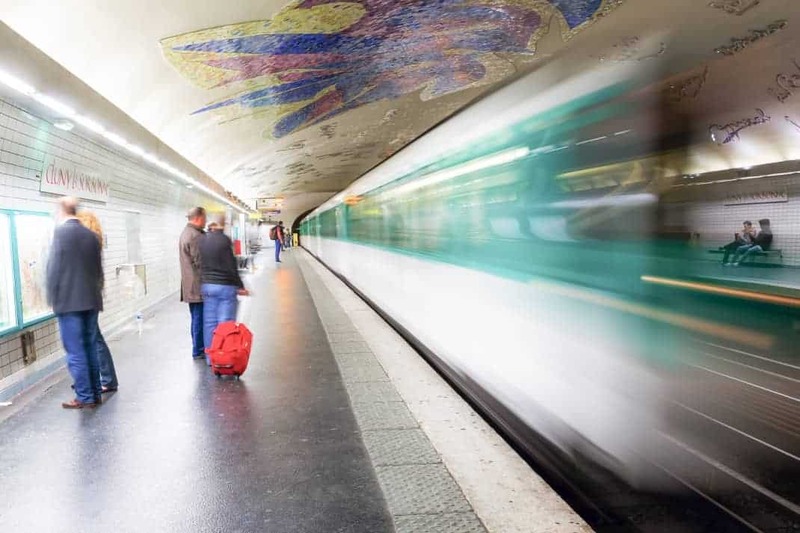 If you want to learn about how to take the train to the airports in Paris, read this article. Starting days from when you bought it. However, you can load your pass in advance for the upcoming week, and upcoming month. The pass can be purchased at any metro station or at Terminal 3 of CDG airport. The card itself costs 5€, and you must also have a passport sized image with you to add to it. If you don’t have any with you, do not worry- there are photo booths in many metro stations! The Navigo Découverte pass can be recharged for every visit to Paris, so it is really a great bargain and investment! You may also purchase Tourist Passes, for the same service as a Navigo Découverte pass. However these passes are often much more expensive, so it is best to buy the Navigo Découverte pass for Paris transportation for a week or a month! With metro+ tickets, you can use Paris transportation, such as the metro, bus and RER lines within Paris for 1.90€ per Paris metro ticket or journey. However, you can also buy a reduced book of 10 or 20 tickets, for 14.50€ or 29€ respectively. These small individual tickets can be bought at all metro ticket counters or machines and are very useful for single journeys within zone 1 of Paris. These are also reduced prices for children under 10 years old at 7.25€ for a book of 10 tickets. These tickets do not cover travel to Versailles or the airports for example as they are outside zone 1 of Paris. To travel to Versailles and Disney you simply select the destination and purchase your ticket at metro station ticket machines. As you can deduce, the Navigo Decouverte pass is the best way to travel all over without having to keep spending money on tickets! While navigating Paris transportation can be difficult, you can also get lost on the streets! With our INSIDR phone, you will have access to pre-loaded maps and apps such as CITYMAPPER to help you get to where you need to go easily. You can book our INSIDR smartphone service here. Best Afternoon Tea in Paris: Head to Le Marais!